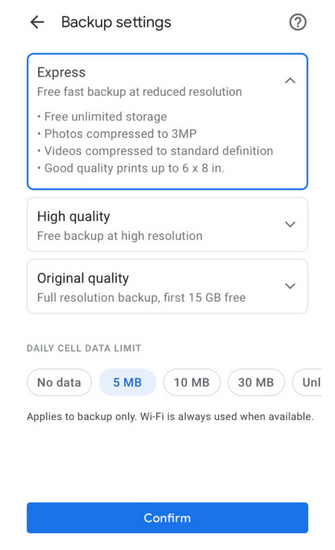 Google is releasing an updated version of their Photos app, with a feature called Express which will make sure you don't exceed your monthly data cap when you upload high definition photos or video over cellular data. Obviously, the best solution to your data issues is to upload your content when you are connected to Wi-Fi, but this solution is for those moments you don't have access to a Wi-Fi network. According to a report, Express will allow your photos to be backed up using reduced photo sizes. In fact, photos will be compressed to 3MP and videos to Standard Definition. Express will join the two previous options offered for storage with the app, High Quality, and Original Resolution. The update will also allow users to set a limit on the amount of data that Google Photos can use daily, offering 5MB, 10MB, 30MB, and unlimited options. The 'Express' setting will be found in the 'backup settings' of Android devices. The report also suggests that Express is currently being tested for a select number of Android users in India before it is offered throughout the country, and later to other markets. 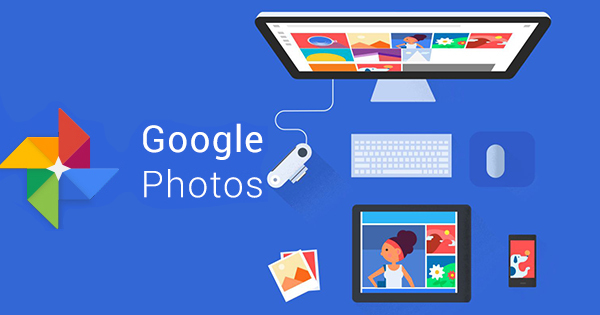 Download the latest version of Google Photos using the link below and look out for Express backup in an upcoming update.